I'm having a visual artifacts on subtitles. I read a solution to set TC offset hack to (525,0) but I don't know where is TC offset is. I'm using pcsx2 1.1 and svn 5760. 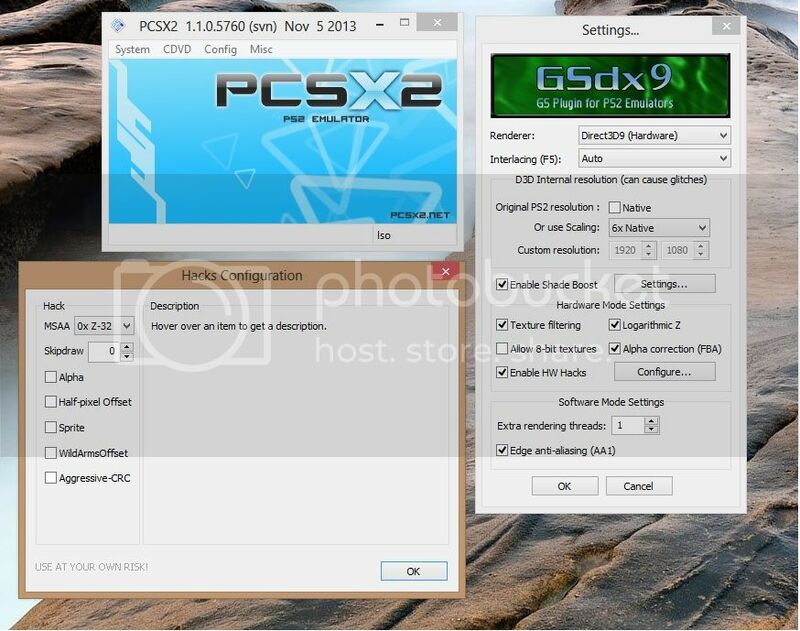 Still surfing with Browser?, Try the pcsx2 forum App ! (11-23-2013, 12:12 PM)Brock lessner Wrote: Maybe in hw hacks. HW hacks is enabled and under its configuration there is MSAA, Skipdraw, Alpha, Half-pixel offset, Sprite, WildArmsOffset, Aggressive-CRC. There is no TC offset or "Texture Coordinates" offset. Config -> Video (GS) -> Plugin Settings -> Configure (Button) ->TC Offset X and TC Offset Y. (11-23-2013, 01:41 PM)tadatada Wrote: Config -> Video (GS) -> Plugin Settings -> Configure (Button) ->TC Offset X and TC Offset Y. The below image is my r5760. Unfortunately I have no idea. Current time: 04-19-2019, 08:53 AM Powered By MyBB, © 2002-2019 MyBB Group.